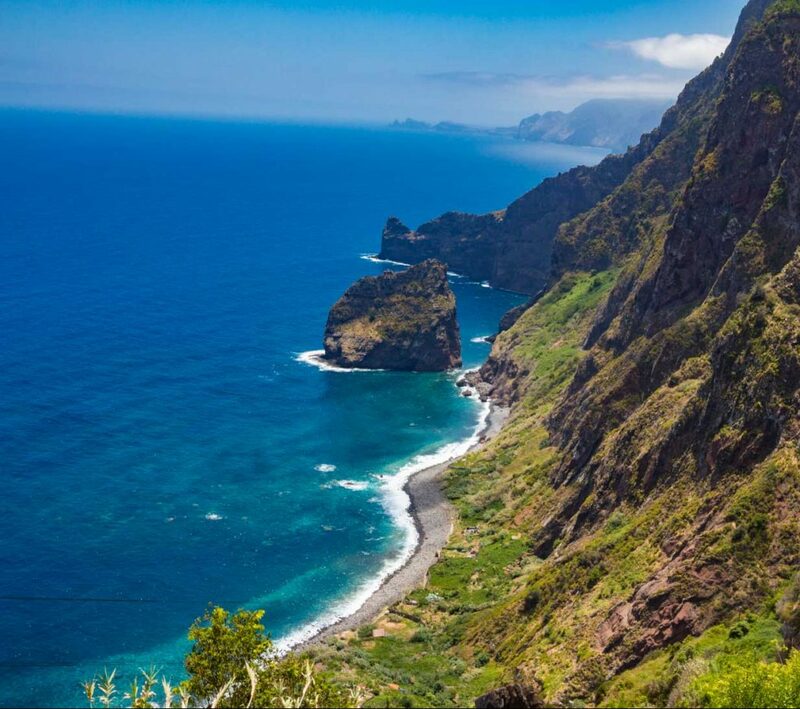 Rocha do Navio means “Ship Rock” and it is one of four major natural reserves on Madeira. The Nature Reserve called Rocha do Navio is in the parish of Santana on the Madeira’s north coast. It got its name – Ship Rock – for two reasons. First, a Dutch ship sunk in the bay in the 19th century. Second, the little island resembles the front of a ship. The Natural reserve, created in 1997, covers an area of 1822ha. 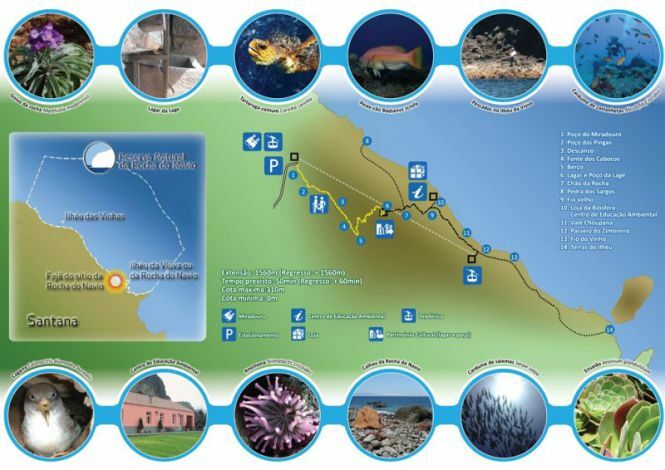 Its aim is to preserve the marine fauna specifically and nature at large. 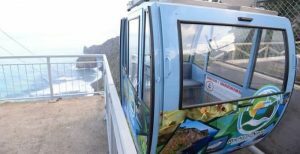 One can access this reserve from the Miradouro da Rocha do Navio. 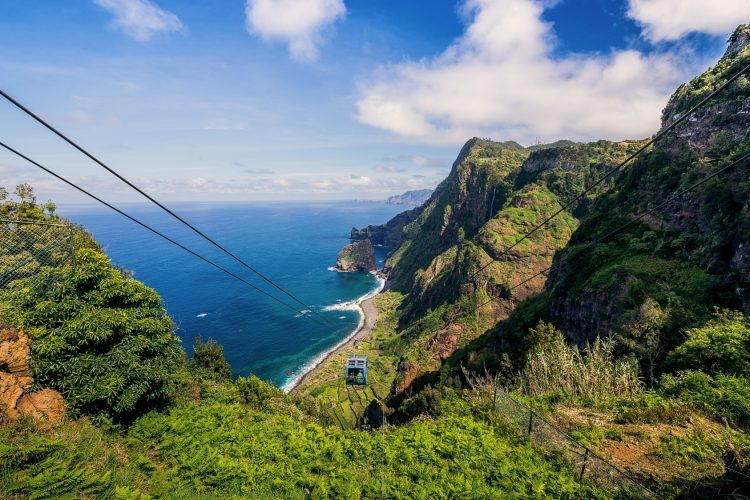 Take a moment to admire the stunning views from this Miradouro before descending to the sea. From there one has two options: walk (hike) or take the cable car ride. Both choices give breathtaking views. On a very lucky day, you could even see a monk seal on the beach or a school of dolphins splashing in the ocean during the descend. In the bottom, at sea level, there is a typical pebble (large and small) beach. A concrete and stone footpath separates the beach from the agricultural plots. Locals grown bananas, grapes and other fruits on the land which they shelter from the wind and salt splash with urze or cane palisades. There is often a breeze and it is simply peaceful. It really is a great place to take in the ocean with all your senses nearly on your own. The Nature Reserve known as Rocha do Navio is also the perfect place to view many bird species. If you turn your back to the Ocean, you can see the rock with its many waterfalls and special flora.